The 2014 Acura RLX concept (aka Honda Legend) made its world premiere recently at the 2012 Los Angeles Motor Show. Although the styling of the flagship model might not catch your attention, its multi-faced LED headlamps are not hard to go unnoticed. The new signature 'Jewel Eye' headlamps use a total of ten separate high-intensity LED lamp stacked in two rows with ultra-reflective optical lenses and high-gloss trim to provide a powerful illumination. There are a total of 20 beams of light emitting from the headlamps. 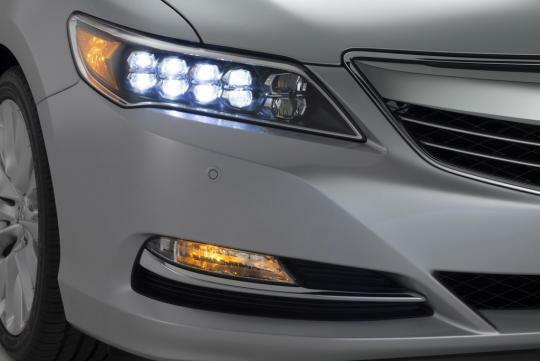 They give the RLX a distinctive and bright-eyed look in both day and night. The RLX Concept is powered by an all-new 3.5-litre V6 direct-injected VTEC engine mated to a 7-speed dual clutch transmission (DCT). The motor generates more than 370bhp and promises to deliver V8 acceleration with four cylinder fuel economy. The concept also features the Sport Hybrid SH-AWD� system. However, the production RLX will be offered with a 3.5-litre V6 engine that is rated at 310bhp and 368Nm of torque. 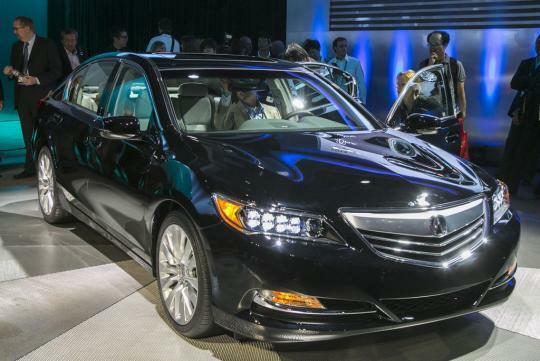 "We have created a true luxury sedan based on our Acura DNA," said American Honda president & CEO, Tetsuo Iwamura. "This means achieving advanced performance through engineering efficiency to create a unique synergy between the vehicle and its driver. Inside and out, on the open road or city streets, the sophisticated and elegant Acura RLX will offer a level of connectivity, comfort and advanced performance demanded by today's luxury buyers," added Iwamura.